May 14, 2018 -- Recent hype about cloud technology has yet to materialize in clinical and diagnostic healthcare IT. For advanced visualization in medical imaging especially, public cloud-hosted solutions accounted for less than 5% of the total U.S. market in 2017, and in the rest of the world, the share was even less. So, why has this breakthrough never happened? Will it ever? And if so, where will we see it first? Why is AV moving to the cloud so slowly? Healthcare technology vendors have made considerable investments in cloud preparation, but compared with customers using on-premise archiving solutions, the revenue derived from customers using cloud-hosted services for advanced visualization is still very low. This doesn't mean the investments have been a mistake. Tender requirements have forced vendors in this direction due to changing needs. Larger healthcare providers or regional health networks are increasingly moving their strategy toward private cloud; thus, the latest developments in 3D software are directly transferable from the on-premises to the cloud environment. Small and medium healthcare providers are looking at differing cloud architectures, often requiring support for hosting of backup and disaster recovery, while some want to shift to full public-cloud architectures. So, why are the healthcare providers not adopting the cloud solutions yet? Due to the large data size in medical imaging, the cost of cloud hosting has in many cases been considerably higher than keeping the data onsite. Hosting is increasingly being used for structured data such as medical records and personal details requiring less data, but MR and CT images and image analysis require much more storage space and processing and therefore increase the associated hosting costs and bandwidth requirements. Traditional AV solutions with high clinical capability are typically targeted at larger hospitals with high volumes of advanced cases. Due to the large amount of data used in medical imaging, these hospitals have preferred on-premise architecture and private cloud and have been less inclined to change to public hosting. The smaller providers with less imaging data have had limited demand for advanced visualization, so even if cloud hosting would have made sense from a financial perspective, the influence on the AV market has been minimal. Although cloud adoption in medical imaging has particular requirements, it is naturally under the strong influence of the broader cloud adoption in healthcare IT. The main concern holding adoption back in this market has traditionally been data safety. Healthcare providers would lose control of their data and could experience major data leaks, potentially affecting much higher data volumes than previously. However, this concern seems to be slowly decreasing as hosting companies have improved their security measures, and the number of attacks against healthcare providers has increased about 20% per year in recent years, demonstrating that data stored at the hospital is by no means considered safe. The operational costs of keeping on-premise data safe are increasing, as is the size of the fines associated with data leaks. The regulatory aspects of using cloud services for healthcare data add another layer of complexity. In the U.S., the Health Insurance Portability and Accountability Act (HIPAA) provides the guidelines for data privacy and security for safeguarding medical information. HIPAA is designed to prevent unauthorized access to healthcare data, whereas the recently implemented European General Data Protection Regulation (GDPR) additionally addresses broader questions regarding who owns data obtained from a patient and whether the purpose of collecting or processing the data justifies the use. As GDPR covers all European Union residents, this will also affect U.S.-based healthcare providers or cloud hosting companies providing their services to European markets. GDPR covers all EU countries but each country is free to add additional regulations, such as the German Data Protection Amendment Act (GDPAA), or even amendments to prevent sharing of healthcare data across the 16 German federal states. Although there still is some ambiguity in GDPR interpretation, as well as local nuances, the hope is that over time and with additional work, the relatively strict GDPR will encourage uniformity across Europe and enable easier cloud adoption in the region. Another factor holding back healthcare providers from going with a public cloud is the limited number of early adopters. To make such a big strategic move, decision-makers will need vanguard sites and good examples to follow. And for now, most of the typical first movers are still using on-premise data centers and private clouds and have considerable operational costs maintaining and keeping them safe. The cloud has long been used for data storage only, but cloud computing opens up new possibilities and potential value to wider healthcare IT. The use of cloud software, cloud computing power, and cloud-stored data opens up new technical possibilities as well as potential cost reductions. First, the higher processing power available with cloud computing will allow improved performance, even for the most advanced and less frequent uses. Second, the cloud will provide access to a much larger pool of data for analytics. Artificial intelligence start-ups for image analysis and diagnostic guidance increasingly use cloud services for analysis with graphics processing units (GPUs), thereby saving the provider considerable hardware and operational costs, as well as enabling the technology to spread into the low-volume healthcare sector where cost would usually be a barrier to use. The simplicity in this setup could potentially also work for advanced visualization, enabling even advanced features for the low-volume sector as a per exam pricing model. Cloud hosting and computing could also be attractive for healthcare providers with an enterprise imaging strategy. Data and computing power shared across departments and hospitals enable images from one location to be analyzed in the cloud and viewed at another location for reporting. Many of the universal viewer vendors have been fast to adapt their technologies to cloud hosting. As a result, most are reporting increased penetration in small to midsize hospitals and imaging centers that are approaching an enterprise strategy, even those with a relatively low case volume where cloud hosting costs are lower than maintaining their own data on-premise. Many imaging technology vendors have made considerable investments in preparing their solutions for cloud hosting, including software design changes, platform partnerships, and growing availability of zero-footprint viewers and remote access functionality. Many have also made or are in the process of making strategic agreements with public hosting firms such as Google, Amazon Web Services (AWS), Microsoft, or specialist healthcare hosting companies. In addition, we see in the mature markets in North America and Western Europe that advanced visualization sales are less tied to modality sales, which creates more flexibility when it comes to advanced visualization and analysis and a possible move away from the traditional modality-workstation setup. Advanced visualization today remains heavily on-premise, and very few providers are going cloud, although they are following the progress closely and keeping an eye out for first movers. Many vendors offer cloud data hosting, but cloud computing and analysis in the cloud is still in its very beginning. Due to hosting costs, bandwidth, and performance concerns, it will still take some time for AV to make the transition to the cloud. However, the broader trend for healthcare providers is moving toward the cloud, both private cloud with their own data centers and public/hybrid cloud. For advanced visualization, this transition may take longer than other segments because it is highly specialized and hardware-reliant. However, universal viewers will provide cloud-based basic AV for small providers in the near term as part of the enterprise imaging trend. In the longer term, new models with cloud computing, GPU, and artificial intelligence will also impact AV cloud adoption, so the pace can be expected to pick up also for the more advanced clinical functionalities. "Advanced Visualisation and Viewing IT -- World -- 2017" provides a highly detailed, data-centric analysis of the world market for advanced visualization and viewing IT. Key features include market size estimates, annual growth rate forecasts for 2017 to 2021, and vendor market share analysis. Get more information by visiting the Signify Research website. 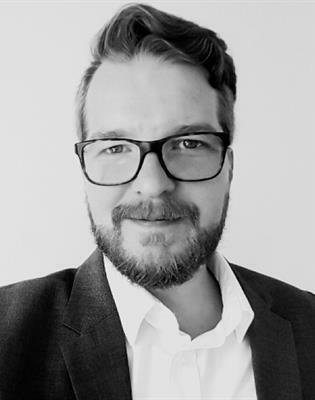 Ulrik Kristensen is a senior market analyst at Signify Research, an independent supplier of market intelligence and consultancy to the global healthcare technology industry. Our major coverage areas are healthcare IT, medical imaging, and digital health. Our clients include technology vendors, healthcare providers and payors, management consultants, and investors. Signify Research is headquartered in Cranfield, U.K. The comments and observations expressed are those of the author and do not necessarily reflect the opinions of AuntMinnie.com or AuntMinnieEurope.com.